We provide grants for around 4,500 individuals each year, dealing with half of all cases presented to the Regimental and Corps charities. All cases are considered on their merits. Underlying every case is a clearly identified individual case of need which cannot be met by other sources. We would expect that all statutory funding sources had been exhausted prior to an application being submitted. Generally, cases will initially be submitted to the appropriate Regimental Headquarters. We provide support through our partnership of Regimental and Corps Benevolent charities. Individual needs can range from a specialist safety bed for a serving soldier’s disabled son, or furniture for a former soldier who has been homeless, to care home fees for a Second World War veteran or a much needed holiday for a war widow/er and his or her young children. We will look at the least expensive, suitable solution to meet the need. Members and former members of the British Regular Army who have normally completed adult basic training. Exceptionally, individuals who are medically discharged as a direct result of an injury sustained during this period will also be supported. Dependant spouses/civil partners, widows, widowers, children and other immediate dependants. 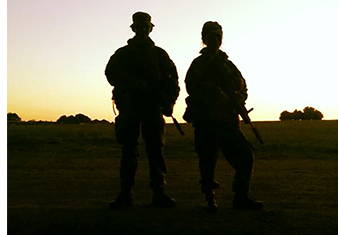 Members and former members of the British Army Reserve (and their dependants as outlined above) providing they have completed one year’s satisfactory service which will have included Phase 1 training. 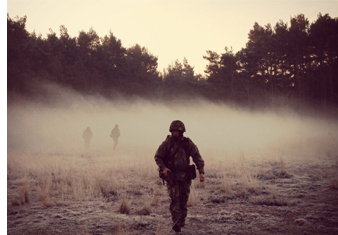 Exceptionally, for a lesser period if the death, injury or distress arises from any action or incident whilst on military duty or the soldier had deployed on a designated operation. Unfortunately, we are unable to assist with providing grants for medical and legal fees, non-priority debt and memorial or headstones. A serving soldier or the dependant of a serving soldier please contact your Unit Welfare Officer, Personnel Recovery Officer, Resettlement Officer, or the Army Welfare Service. 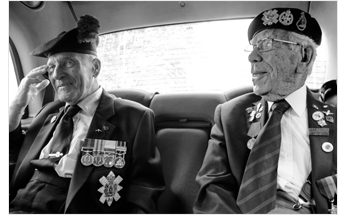 A veteran, or the dependants of a veteran, or a widow or widower please contact your local SSAFA or with exception to those living in Scotland, your Royal British Legion office. You can find your nearest branch by clicking on the links above. Step 1: Our agents will normally arrange for a meeting to take place to allow them to understand the circumstances behind your request for support. This is a confidential discussion and you agree with them the approach to asking for financial or other support. Step 2: If you decide you wish to proceed and request help, a written report is prepared by trained staff. Step 3: The report, when completed, will be forwarded to your Regimental or Corps Association for consideration. If they are unable to meet the request in full they will approach ABF The Soldiers’ Charity for assistance on your behalf. Step 4: If assistance is approved it will be paid to our agent on your behalf or direct to a contractor/business. We do NOT make payments or give cash directly to individuals. If you have any questions or would like more information, please complete the form below. Your query will be dealt with in confidence. Please note: Completion of this form should not be seen as a guarantee of support being provided from The Soldiers’ Charity.